Inshore Fishing Charters Clearwater, FL - Inshore is Always In! Parties of up to four people can enjoy our inshore fishing charters for an exciting, yet relaxing day searching for popular fish to eat, mount, or catch and release. 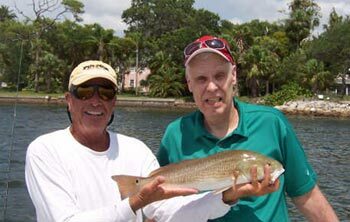 We offer full, three-quarter, and half day excursions to suit any Clearwater inshore fishing need. We provide everything you need to enjoy your Clearwater inshore fishing charter.Our Captain is licensed and insured by the US Coast Guard and boast years of experience in providing residents and tourists alike with memorable and successful Clearwater area inshore fishing charters. 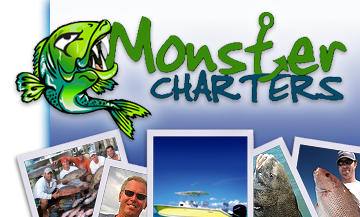 Contact Monster Charters today for more information on our inshore fishing charters in the Clearwater, St. Petersburg, and Tampa area.